Matt Fried is a writer, producer, and sometimes performer. He lives in Los Angeles, America’s favorite cult. 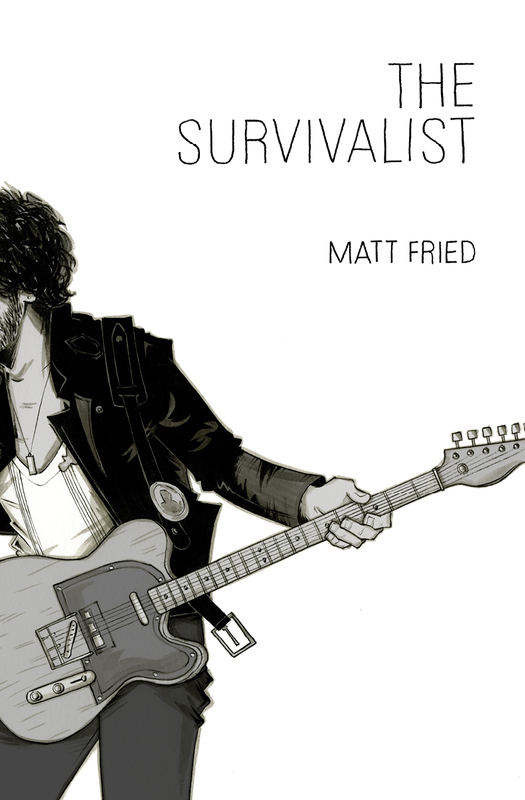 His first novel The Survivalist, a break-up comedy about a failed rock musician and his imaginary best friend, Bruce Springsteen (yes, that Bruce Springsteen) is available for purchase in paperback and for Kindle on Amazon, and for all Apple devices on iBooks. You can read samples from the book here and here. Every November, he produces and hosts The Movember Nerdmelt Comedy Show, an annual charity show at The Nerdmelt Showroom at Meltdown Comics that raises funds for testicular and prostate cancer. In New York, Fried wrote and produced A Charlie Brown Apocalypse, the hit off-off-Broadway play that re-imagined the Peanuts characters as born-again Christians waiting on the Apocalypse. He also hosted The Matt Fried Hour – his variety talk show – and Sleeping In with Matt Fried – his spin-off video podcast. As a performer, Fried has been seen at The Moth, The Upright Citizens Brigade Theatre – NY & LA, The Bell House in Brooklyn, The Peoples Improv Theater, The Magnet Theater, and iO in Chicago. He has studied improv and comedy writing at The Upright Citizens Brigade Theatre, iO, and The Peoples Improv Theater. For industry inquiries, his writer’s packet is available upon request. Lastly, he still plans to own a dog named Rufus.